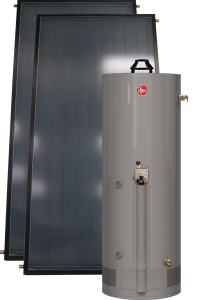 Solar Thermal Power After your air conditioning and cooling system, your home’s electric hot water heater is the next largest user of energy. 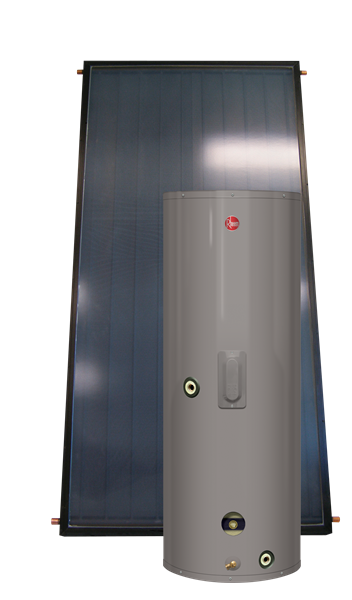 By replacing it with a solar hot water heater, you’ll save thousands of dollars and instantly reduce electric consumption by as much as 30%. 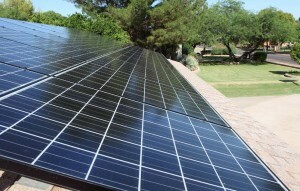 Photovoltaic Solar Known as Going off the Grid a PV solar system will completely eliminate your existing power bill. Solar Attic Turbine Ventilates and cools your attic – all without costing a dime of additional electricity. Alone, a solar attic turbine will save you 10%- 12% of your average monthly electric bill. Solar Pool Systems Solar energy is free, there are no fuel costs. The system is virtually maintenance free and is covered with a non-prorated, 10-year panel warranty including freeze protection. You will simply enjoy the benefits of a heated pool, free from ongoing expense. Florida: The Perfect State for Solar Products! Since 2005, residential electric rates in Florida have gone up 33%-50% — leaving many homeowners with electric bills double or triple the price they were a decade ago. Florida’s per capita residential electricity demand is among the highest in the country due to high air conditioning use in the hot summer months & the widespread use of electricity for home heating during winter months. And virtually every year state regulators in Tallahassee grant Florida power companies a substantial portion of the huge rate increases that they request. The United States imports much of our oil from countries like Saudi Arabia, Kuwait and other parts of the Middle East and these countries have no reason to keep the price of their oil low. In fact, the deepening world energy crisis will hit the United States hardest of all, because where as we comprise only 5% of the globe’s population, we consume 26% of the world’s available energy. There’s never been a better time to invest in solar equipment for your home because a 30% federal tax credit is being given on solar improvements to your home. Kyocera’s MyGenTM Systems are convenient and comprehensive photovoltaic (PV) power equipment packages designed for residential grid tied applications. Seven packages are offered, ranging from 2520W STC to 15120 STC, that use the KD 210 module in a variety of PV array configurations. Each package is pre-engineered to optimize system performance and meet applicable NEC codes and requirements. 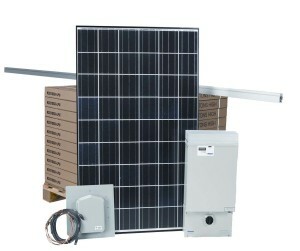 All major PV system components, disconnects and grounding equipment are included, with 1 year of free web based monitoring. The MyGen System’s quality components and detailed installation, operation and maintenance manual makes it easy to install. The systems are modular and fully expandable for future upgrades. 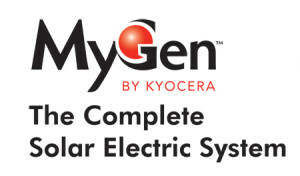 The MyGen System is a truly complete solar solution for any home or small commercial application. MyGen Systems are compatible with a wide variety of roof types and materials and are quick and easy to install. MyGen features solar modules integrated into arrays that can be sized to meet a wide range of power requirements for maximum flexibility. MyGen Systems include all the components needed for a complete installation. Kyocera’s advanced cell processing technology and automated production facilities produce a highly efficient multicrystal photovoltaic module. The conversion efficiency of the Kyocera solar cell is over 16%. These cells are encapsulated between a tempered glass cover and a pottant with back sheet to provide efficient protection from the severest environment conditions. The entire laminate is installed in an anodized aluminum frame to provide structural strength and ease of installation. 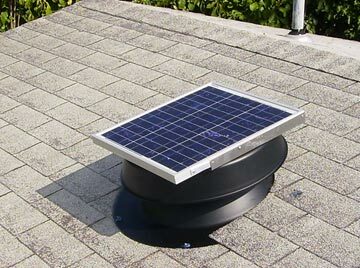 A solar attic fan is a simple way to add a motorized venting system to your home without needing any extra electrical wiring or structural changes. Natural Light Solar Attic Fans are manufactured using high-impact photovoltaic solar panels to power the fan for free all during the day. The units are fully operation right out of the box and install in less than an hour. Natural Light Solar Attic Fans are available in 3 model sizes to accommodate any attic space – 10, 20 or 30 watts. They are also available in 3 mounting types: roof, curb or gable. Solar energy is free, there are no fuel costs. The system is virtually maintenance free and is covered with a non-prorated, 10-year panel warranty including freeze protection. You will simply enjoy the benefits of a heated pool, free from ongoing expense. 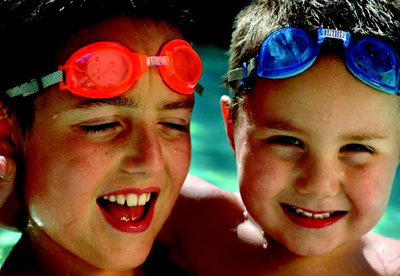 Your SunMiser solar heated pool offers your family more swimming enjoyment. Your swim season begins earlier in the spring and extends later into the fall. A heated pool is more valuable than one that is not, consequently your pool and property features are enhanced along with their actual value. Your SunMiser solar system uses no fossil fuels, produces no waste and is a naturally heated, environmentally safe product. As the water rises through the collector it is heated by the sun’s radiant energy.